Come join us for a Swap Meet on Sunday July 15 from 10 am to 3 pm. Only $10 per blanket, sell and swap as much as you want! Do not miss, many great bargains in past years! It's time once again for our annual winter auction. Now in it's 29th year! We hope to see everyone there to check out the great RC planes and other items that will be available for sale. Please remember that all sales are CASH ONLY and because we are only acting as the auctioneers, we cannot offer receipts, warranties, or any other assurances. ALL SALES ARE FINAL. You do not need to be a member to buy or sell. Everyone is welcome! Sunday February 25, 2018. Doors open for set up at 10:30AM. Auction begins at 11:00AM. $3.00 General Admission. 10% Seller’s Fee. • Planes, Kits, Batteries, Accessories & other items! Buy, Sell or Browse. • Beverages available (water and soda). • Buy, sell or just browse. • NO PARKING LOT DEALS. feet and take first right onto Greeley Street. The auditorium is the 2nd building on the left (look for ramp). Feel free to download and share our flyer. On December 12th, President Trump signed the National Defense Authorization Act which reinstated the FAA's sUAS registration requirement. As a result, ALL 'drones', which under the law are defined as any small Unmanned Aircraft System, or in plain English- ANY RC aircraft weighing more than 0.55LBS and less than 55LBS. We strongly encourage all LLFC members to comply with the law until such time as the AMA can either secure a waiver allowing AMA members to use their AMA number instead or until further legal challenges and changes are made. From the FAA Website: " You will be subject to civil and criminal penalties if you meet the criteria to register an unmanned aircraft and do not register. " Is a UAS the same as a model aircraft? We prefer to take a better safe than sorry approach to this issue. 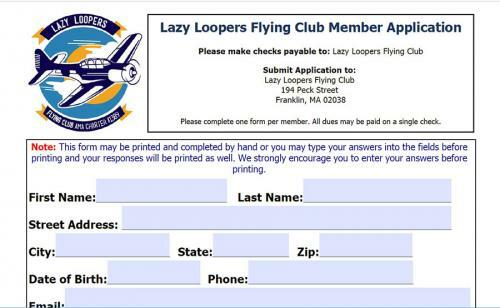 We'll be updating our member application to include your FAA registration number again as well as your AMA number. The law doesn't require you to register every plane/heli/drone you own. Only that you register yourself and affix the FAA number somewhere on your aircraft. It can be hidden inside the battery compartment as long as the number can be easily accessed with simple tools - like a screwdriver. It's time once again for our annual Winter Meeting. As always the meeting will be held at the State School Auditorium in Wrentham. Please Note: ONLY The front door will be open. The side door will not be unlocked. National Model Aviation Day RAIN DATE Sunday August 13! We've been monitoring the weather for our event on Saturday and it appears mother nature is planning on providing rain and thunderstorms throughout the day. Not a great way to celebrate model aviation. Because of this we'll be postponing the event until Sunday (this Sunday the 13th). Weather shows Sunday will be bright, sunny, and a little bit cooler. We hope everyone can make it to the field on Sunday. Same time, same location. Everyone is welcome to come and spend the day with us! Whether you're an RC Pilot already or have always wondered about RC flying, you're invited to come out and spend a day of fun with us at our field in Wrentham, MA on Saturday August 13, 2017 from 11:00AM until 4:00PM. Bring a folding chair or a blanket and enjoy the day watching the action, or ask one of our instructors for an intro flight. Spring is Here! Clean up, Pot Luck and Fly April 23! Join us on Sunday April 23 at 10:00AM for a great day of field prep and flying. Spring is here and it's time to get into the swing of the 2017 Flying season by making sure all the little maintenance tasks are handled. Bring your favorite food to share as lunch will be pot luck style! The club will be providing drinks. 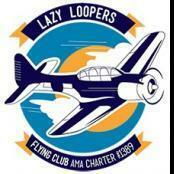 For nearly three decades the Lazy Loopers Flying Club winter auction has brought RC pilots and enthusiasts together to buy and sell their RC aircraft and other items. We're thrilled to say the tradition continues on Sunday February 19th starting to 10:30AM at the Wrentham Developmental Center-Auditorium. The auction is open to everyone who wishes to attend. Bring as much, or as little as you wish to sell or bring a van and load up on your great deals and auction finds. Even if you're not in the market to buy or sell, you're welcome to come and spend the day with us and enjoy the experience of an RC Auction first hand! Doors open for set up at 10:30AM. Auction begins at 11:00AM. OPEN TO ALL. GENERAL PUBLIC WELCOME! Planes, Kits, Batteries, Accessories & other items! Snacks & Beverages Available. RC Items Raffle. Buy, Sell, or just browse. We hope to see you there! Please feel free to share links to this page or download and share our flyer. Help with our Open House?